Lauren Riihimaki got a second tattoo with coordinates on her back. In a vlog she explain that her tattoo means home and it reminds her of the place she grew old, her family and the loved ones. 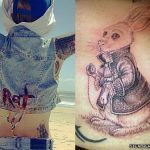 Chiara Ferragni has geographical coordinates on her ribcage to represent special places. 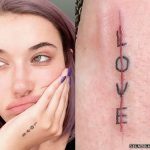 She first started with three lines of latitude and longitude addresses and then later added onto the tattoo with four more for a total of seven lines. 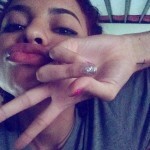 Nia Lovelis has a tattoo of geographical coordinates on the back of her right arm. 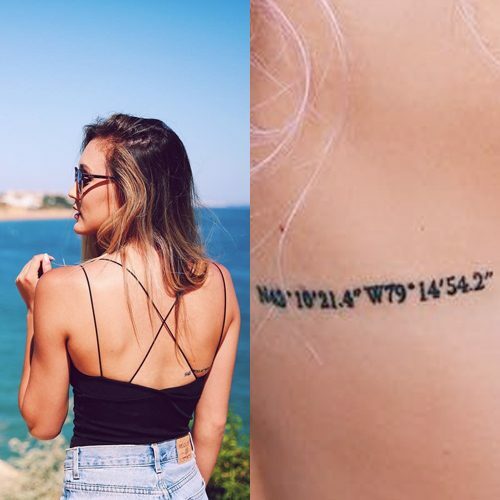 The latitude and longitude numbers represent the location where her family is from in Sicily. 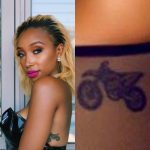 She got this tattoo in April 2016. 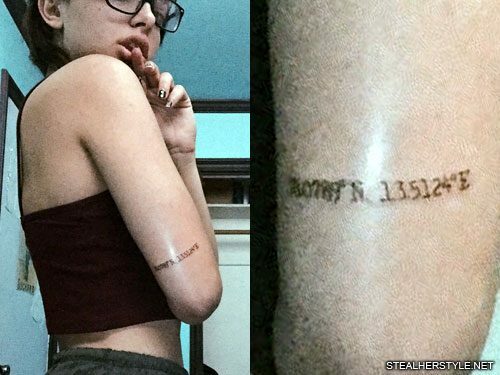 Paige Danielle has a set of coordinates inked on her left side. 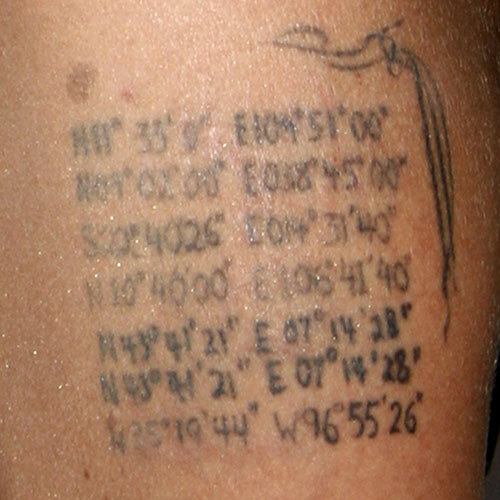 Angelina Jolie has the birthplace coordinates of all seven children inked on her left arm. As she’s added new lines to the list, she also added a swirl on the top right corner. With the faded silhouette of her laser-removed dragon tattoo still visible, Angeline Jolie had a new tattoo done on top of it. 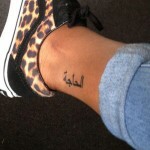 This tattoo pays homage to her children, listing the latitude and longitude coordinates of their birthplaces. 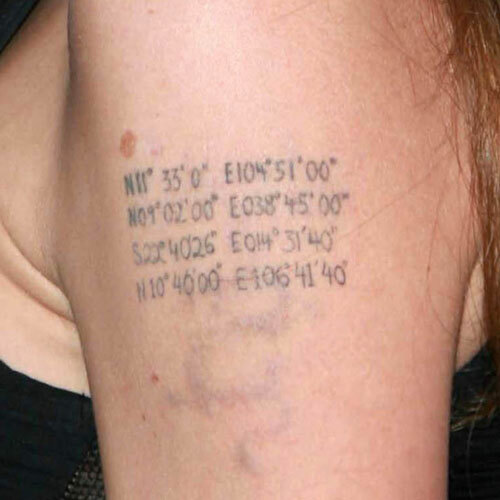 Shown in this photo from 2007 are the birthplaces of her first four children, but she has added onto the tattoo as she and Brad Pitt have welcomed more children into their family.